I enjoyed Spike Jonze’s work on it, it just was NOT what I was expecting. The kid’s subconscious and the manifestation of all the creatures as his insecurities. 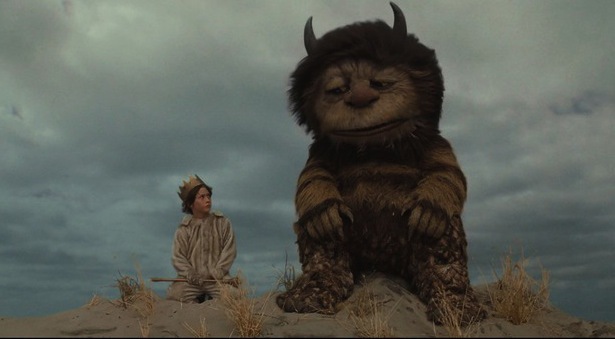 Was not expecting that, and I respected Jonez (and Maurice Sendak, obviously) for going that direction. For a long while, I thought the film was meandering and pointless, but it really had a strong underlying theme of the pain of being a kid and growing up. I really had to think about it to process, and it took on a whole new meaning, albeit too late in the movie to really “like” the movie. I understood it at last, but didn’t really enjoy it. Again, the thought I kept having as I left the theater: unexpected. Perhaps a second viewing in a year will see how it holds up.